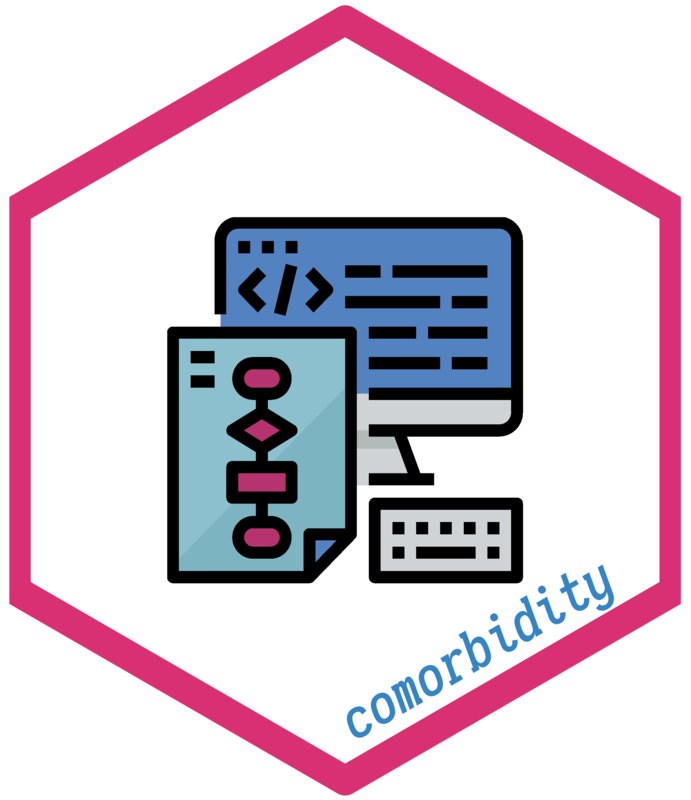 comorbidity is an R package for computing comorbidity scores such as the weighted Charlson score and the Elixhauser comorbidity score; both ICD-10 and ICD-9 coding systems are supported. #>  "Component \"code\": 29 string mismatches"
The main function of the comorbidity package is named comorbidity(), and it can be used to compute any supported comorbidity score; scores can be specified by setting the score argument, which is required. The weighted Elixhauser score is computed using both the AHRQ and the van Walraven algorithm (wscore_ahrq and wscore_vw). The icon for the hex sticker was made by monkik from www.flaticon.com, and is licensed by Creative Commons BY 3.0.